Today we're unveiling a new World Builder section here at Generals World. Our World Builder pages will provide a centralized location for finding World Builder information and resources. Some of the content in this newly organized section, such as gamemastax's tutorial on how to make a dam with draining water, has been on our website for nearly 3 years. We are, however, releasing a couple brand new pages built specifically for this section. First of all, we now have a World Builder FAQ page that addresses some of the most frequently asked World Builder questions from our Maps & Mods Forum (How can I edit official Generals or Zero Hour maps?). One of the most frequently asked questions is actually How do I open the World Builder program? Where is it located? - especially by fans who have The First Decade compilation pack! We're also unveiling our new Basic World Builder Tutorial, authored by Fleetatks. This tutorial covers a good range of information, from adding water to maps and sculpting terrain to creating simple scripts. We hope that it will serve as a good resource for fans looking to learn how to make maps in World Builder. We still get many new visitors who come here with map-making questions looking to learn this stuff, even though Generals was first released in February 2003! Any comments about or suggestions for this new content section may be posted in our Community Forum or emailed to me at MicScoTho@cncgeneralsworld.com. Last edited by Mike on Sunday, December 31, 2006 at 1:18:08 PM. Phantom from our affiliate GameReplays has posted the second part of their History of Real Time Strategy series. 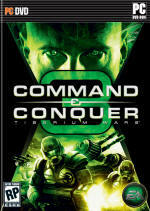 Part Two deals specifically with Command and Conquer. Anyone who has ever played Command and Conquer (C&C) remembers the first time they loaded the game. As the Electronic Video Agent (EVA) AI, “initialized communications” with the Global Defense Initiative (GDI) network, you realized that you were in for something truly special. From the very beginning of the game’s installation, it practically oozed with character and style; it was almost as if you were an actual commander uplinking to central command. And then, just as you thought that the showy, imaginary illusion of actually being a military commander was about to fade, it got better. It's a good read, and you can see the full thing here. The December update for The Power of High-Tech Warfare has been posted on the mod's website. The update includes six new screenshots and some new information about the initial demo version of the mod that will be released, named Taste of Destruction. Three of the new screenshots are showcased below. The screenshots show, from left to right, the new Pandora-Cannon in action, the Fortress wall's Plasma Cannons, and the American Fortress Bunker. Head to the mod's official website for more! While I'm quite sure this is not the final version, especially given the old logo and limited menu settings, the following image has leaked out. It is a low quality capture of the C&C 3 menu. Click for the full size. I mentioned earlier that I thought the language on the rim of the Alien logo was too standardized to be insignificant. As it turns out, the language has indeed been cracked, and it eventually boils down to a series of Roman numerals. Kudos to Issvar for getting this started. Of course, it spells out the message: The third faction wishes you a Merry Christmas and a Happy New Year (I added capitalization). So it definitely looks like this is the first Easter egg from C&C 3. If you're still a bit uncertain about the code, check out an image (created by xcvaldez) that I've mirrored here. Last edited by Blbpaws on Friday, December 29, 2006 at 9:25:05 PM. Preorders are officially being taken. You can preorder through EA by going to their EA Link. Doing so automatically enters you in a drawing for a spot at the February Community Summit. There's a new Kane wallpaper from EA. View that here. Edit: I forgot to mention. Click the logo for the fullsize version, then look very carefully at the symbols along the sides. I haven't worked it out yet, but someone who should know told me that there is a distinct significance to the symbols. Got an idea? Email me. Last edited by Mike on Sunday, December 31, 2006 at 1:16:47 PM. On behalf of the staff here at Generals World, I'll like to wish everyone a MERRY CHRISTMAS. If you want to trace the RTS genre back to the very beginning, you need to understand the world into which the genre was born. In the mid-1980's Nintendo had just reinvigorated the dying video game industry with the release of the Nintendo Entertainment System. Apple and Microsoft had introduced the notion of a personal computer. The Cold War was thawing out and the wealthier countries of the world were beginning to believe in the possibility of a relaxed and contented lifestyle. Simple games like Tetris and Pac Man entertained the people of this generation. In the world of computers and video games, everything was simple yet exciting. Predator has released a new Kane wallpaper. You can get it in one of three sizes here. GFW: What new stuff are we going to see from Kane in this installment of Command & Conquer? Joe Kucan: A lot of tap dancing, actually. This version, because [C&C3 Executive Producer] Mike Verdu insisted on it, is actually a musical. A lot of people don't know that. Some of the solo numbers I do... oh man, Kane is a great tap dancer. A lot of people are going to be surprised. Happy Holidays from all of us at Generals World! The official EA site has confirmed the box art (seen below) for C&C 3. Click on the image for a full size version. In addition, the official release date is March 28th, 2007. Last edited by Blbpaws on Friday, December 22, 2006 at 4:48:09 PM. Game For Windows podcast at 1Up.com interviewed Mike Verdu and Jason Bender. - Full motion video was "almost a no-brainer"
- Characters in the story have "depth and dimension". - "Not just another game from the 90's"
Head over to www.1up.com/do/minisite to listen to the GFW podcast. The interview starts about 24 minutes in. A little note: They did not even mention C&C Generals. They skipped over it in conversation. I updated the poll today. EA has been pushing the preorder package for C&C 3 quite a bit. What are your thoughts on it? Do you plan on preordering? What do you think of Mike Verdu's latest C&C 3 blog? No surprise that the plurality don't know who Mike Verdu is; gaming is a faceless industry it seems. The rest of the voters seemed pretty split. Thanks to all 123 of you who voted! As promised, we now have our 1st official trailer for XBOX 360 live over at www.ign.com on the front page, top slot! This is the first in-game footage of X360 and like I said, the content is fairly identical to the PC, so for all you PC fans, watching this trailer should give you a similar feel for PC. Hurry up and check it out! It's a good trailer, so check it out when you get a chance. You can see some nice shots of units, including the Nod Hang Gliders (2047 technology?!?). Alright, I am creating this thread to answer all your questions about the pre-order, hopefully with one single post right here, so read this all clearly! * The C&C 3 Pre-Order campaign will be rolling out to different in-store retailers and international territories over time starting later this month and next. The campaign hasn’t officially started but you can start pre-ordering online at select retailers right now! Please note that if you pre-order online, you will not get the Bonus-DVD/packaging until the game ships in March. * The C&C 3 Pre-Order Bonus DVD is ONLY available at Fry’s Electronics right now, but will be wider at other retailers such as Gamestop and EB Games starting December 26th, and then other retailers in January. Apparently some Nod Black-hand soldiers used various stealth tactics to get the boxes on the shelf early at Fry’ s, so if you live by Fry’s, you can go pre-order and pick it up right now. * Note that if you pre-order online you will not get the bonus DVD and pack until C&C 3 ships in March. If you pre-order in store for a retailer such as Gamestop or EB Games that will start carrying the pre- order bonus on Dec 26th, then they should give it to you right there in store. Other major retailers will be carrying it in store starting in January, I’ll let you know who. * IMPORTANT - if you have already pre-order C&C 3 at a retailer such as Gamestop or EB Games, then starting Dec 26th, you should be able to GO BACK to the store and collect your pre-order Bonus DVD. * INTERNATIONAL - so, if you live outside the United States or Canada, then the pre-order bonus DVD may, or may not be available, it depends which country you are in. Our international marketing team will be rolling out the pre-order campaign to select international territories, however, this is still TBD and will not happen until at least January. I will keep you posted. We’ve got a huge goal we are looking to hit with our pre-order campaign, so C&C 3 fans rally and start pre-ordering! This is an awesome bonus for you guys! If you intend to buy C&C 3 already, then don't wait, GET THE PRE-ORDER. Did I mentioned they are numbered as well?! Once they are gone, they are gone forever. Don't worry, we have plenty, but you need to get out and get it. Lastly, we are creating a "Kane Special Edition" that is a "Collector Edition", this will be officially announced soon, but I wanted to clarify, the box art on the pre-order of Kane and his Nod ring is the pre-order and Kane edition pack-art. IT IS NOT the official packaging for C&C 3, the standard edition. That has yet to be shown. Hope that helps answer questions for everyone, if you have more, post here and I will try to get to them all. So that clears up some questions that have been heard. GDI was forged out of an alliance of the modern military powers of the late 20th century. GDI believes in the tried-and-true method of deploying highly trained personnel with the most reliable and proven technology of the day. Heavily armored vehicles, high-tech aircraft, and cutting-edge space weapons allow GDI to establish a formidable presence on the field, but at the expense of agility. GDI armies look and feel familiar, but they allow you to live out the fantasy of next-generation warfare with futuristic military weaponry. Most GDI players prefer solid head-on tactics that overwhelm the enemy. Very often GDI players will build a strong economy supporting a well-defended base. Offensive forays include massive armor forces and tank rushes that can smash anything in their path, with orca scout aircraft deployed to take out choice targets. The need for flanking and retreating is somewhat diminished by the heavy armor of the vehicles, but this comes at the cost of speed. Who has time to worry about that stuff anyway? Let the Nod raider buggies do donuts in the desert while GDI tanks roll directly into their base! You can read the full piece here. There's also a trailer that came with the diary which gives some nice in-game footage, particularly of Vertigo bombers, Nod's Stealth bomber. Finally, EA also announced their Superfan contest. If you can make a video showing why you are a C&C Superfan, and if you are above the age of 18, EA will fly you to EALA for two days to playtest C&C 3, an ultimate experience. Full details at 1UP. Predator posted an update recently about the summit. There's not much substance to it, but you can read it on the official forums. * Integrated clan support allows players to practice together, learn from each other, and compete cooperatively with your friends. *Online profiles, leader boards, and ladders will help to create an appeaing online community. *Match Broadcasts will allow players to televise their matches to other C&C3 players. Even people who don't own the game will be able to watch by downloading a free 'Spectator Client'. Literally hundreds of people can watch you play a game. *The 'Commentary' and 'Telestrator' feature will allow the match host to designate someone as a commentator. The commentator will have camera control, the ability to provide VOIP color commentary, a use of the telestrator to draw circles around areas of interest, and point to key units and structures. A good commentator can attain community fame just like in real life sports. Expecting aliens in C&C 3? You'll get them. What does Scrin mean? Consult an old English dictionary. What does this mean? You'll find the Scrin mentioned more in the Tiberian Sun INI files than the Tiberium Wars ones, I think. DetoNato, leader of The Power of High-Tech Warfare mod, has been interviewed by C&C Files. The interview includes some new information about the mod, as well as some exclusive screenshots! For a snippet from the interview, head to the TPoHW Website, or, click here to read the interview in full directly! According to a product posting at Gamestop, there are a few interesting things about C&C 3. First, there's the product description. We certainly new a lot of that already, but the few interesting points were the flying battleships (Scrin in nature, perhaps? ), the 30 single player missions (which like I said earlier, sounds pretty reasonable. The one thing that I think is unique is the way the story is told in the campaign: there will be a set order (in theory there was to be one in Generals, too, but it ended up being mostly storyless) in which the campaigns are played. This is a bit of a diversion from past C&Cs where there was a correlation in the campaigns, but never many direct links and progressions. We'll see how this pans out. Furthermore, the listed release date is 03/26/07, which fits well with what we've seen in the past. That's probably a reasonable time to expect C&C 3. To preorder from Gamestop, visit their C&C 3 product listing. Halfway through the combat between GDI and Nod, a new alien race will appear, attacking Earth to conquer it, and of course, fighting for the desired Tiberium. The player will be able to command this race in the campaign mode, although their campaign will be far shorter than the others (Approximately 35 missions for GDI and NOD, against 15 for the Aliens). Like I said, to my knowledge, both from recent information and older information, this would sound right and make sense. I do expect there to be significantly less than the mentioned number of missions--remember that Generals was also supposed to have more missions than it ultimately did. In the end, and this is a guess, I'd expect about 25-30 missions total for the game. For those wondering, I think we'll find out a lot more about C&C 3 over the next two weeks. We'll probably see the Apoc/Predator thing resolved or advanced, and we'll get a lot more hands-on with the game. It should be fun! First, one is a gameplay video with some good (but not great) shots of the game in action. If there's anything that video shows, it's the sheer number of particle effects in the game; while the observing eye can spot some similarities to the Zero Hour-era SAGE engine, it's clear that there's been at least a reworking of a lot of the engine for C&C 3--something that was much needed. The second video is an interview with Amer Ajami, the producer of C&C 3. He outlines a lot of basic tenets of the game, and the video is well cut with some battle scenes. There's no new groundbreaking information, but a lot of the key features are highlighted. The few things to note from the video is the lack of C&C music; for both videos, Generals music is played in the background. If they have a C&C 3 soundtrack, they're clearly not sharing it yet. Secondly, Ajami concludes his interview by saying, "It's been seven years since a C&C..." perhaps indicating a dismissal of Red Alert 2 and Generals as true C&Cs. In any event, Ajami, who did not work on anything except Generals, clearly believes that C&C 3 is the big one. 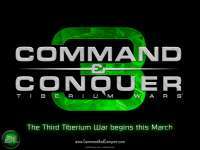 Finally, I expect news of the third faction in C&C 3 to be leaked tomorrow or Saturday. All I can tell you is all that I know from reading various sources over the years, including some from the pre-EA days: the original Brett Sperry-led plan for Command and Conquer was to have the Scrin actively involved in the series in the later game(s) (as it was unclear how many games there would be) and to let the latter games develop the character of Kane significantly, as Kane's relationship to Nod, to Red Alert, and to the Scrin in the backstory is revealed. Now, all this planning was before Tiberian Dawn came out, before the Scrin ever made an appearance in Tiberian Sun, etc, so things may well have changed since then. Brett Sperry has been forced out of the C&C scene, and I don't have much of an idea of what happened inside closed-door EA meetings. However, all I know is that the original plan was to include the Scrin in some active engagement with the human player. What EA does with this, we'll soon be finding out. Last edited by Blbpaws on Thursday, December 7, 2006 at 7:38:34 PM. The C&C 3 min spec will be very similar to BFME 2. Expect a GeForce 3 minimum requirement and most likely 512MB of RAM. We are of course constantly optimizing and have not solidified the min spec, but if you can't run BFME II at low res...then you are in trouble.... You can build a helluva machine for less than $1000, even $500. If it were me, I wouldn't be playing PC games on anything less than an NVIDIA 6600GT, at least a gig of ram, and a 2.0+ processor, and for most games, thats about the middle of the road, maybe even kind of low surprisingly. At home I play on a 3.0GHZ processor, 2 GIGS of ram, and an NVIDIA 7800 256MB GT. I can play pretty much all games at high or ultra high and the experience is smooth and gorgeous...my machine is easily worth less than $1000. So that's pretty much what you expected. I do caution that I'd definitely want to be in the upper part of the recommended range if you want to see a lot of C&C 3's new visuals. Over the past few days, EA has released a number of C&C 3 goodies to the community. For starters, last night community websites were sent an exclusive 1280x760 HD version of the C&C 3 November Trailer. It has been confirmed that this is the secret trailer released for those who bought The Rise of the Witch King. The trailer weighs in at 121MB and is available for download from Generals World. Additionally, EA has released a Countdown to Launch wallpaper on the Official C&C 3 Website.